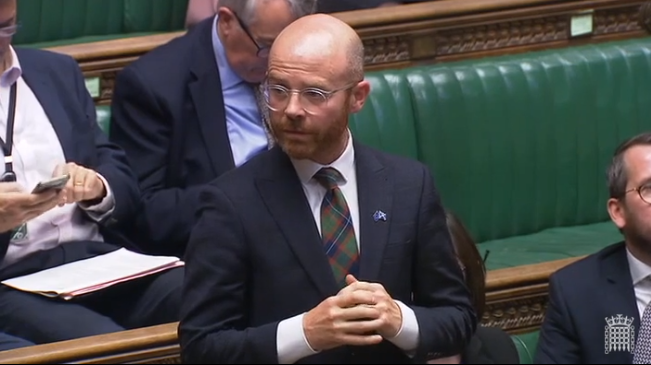 Martin Docherty-Hughes MP has slammed the Prime Minister’s proposed Brexit deal, describing it as ‘damaging to Scotland and dead in the water’. The SNP MP said that he could not support a Brexit deal that puts jobs and living standards in West Dunbartonshire at risk, and called on the UK government to get back round the negotiating table and secure a better deal. Following the publication of the UK government’s draft EU withdrawal agreement, the Prime Minister was grilled by MPs in the House of Commons as she faced growing opposition to the proposals. The Prime Minister was criticised by SNP MPs for delivering a bad Brexit deal that fails to respect the democratic choices of Scotland’s people and its parliament. “The Prime Minister’s Brexit deal is damaging to Scotland and already dead in the water. Even the Tories’ own partners the DUP have turned their back on them – and it’s clear that this discredited deal cannot command a majority in the House of Commons. “The UK government must go back to the negotiating table and secure a better deal that protects our membership of the single market and customs union. It’s the only credible compromise that will save the UK from crashing out of the EU with no deal. “I will not support a Brexit deal that puts jobs at risk and threatens the living standards of my constituents. West Dunbartonshire and the rest of Scotland voted overwhelmingly to Remain, yet we face being dragged out of the EU against our will by a Tory UK government that we didn’t vote for. “The Prime Minister claims we’re a valued part of the union, but there isn’t a single mention of Scotland in its 585 page draft EU withdrawal document.